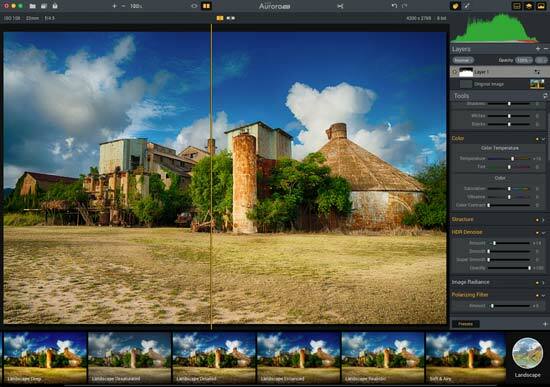 In the year that it’s been available, Macphun’s Aurora HDR has generated quite a bit of interest and become one of the more popular choices for HDR processing. As with any version 1 product, there is plenty of room for improvement and new features. I’ve been able to work with a beta version of Aurora HDR 2017 that includes both improvements in existing features and adds some very welcome new features. Aurora 2017 currently retails for $89 for a new preorder, or $49 for an upgrade from the previous version. Tone mapping is key to generating an HDR image - essentially you’re taking more data than a computer display or printer can handle and presenting it in a way that looks natural (or unnatural if that’s what you prefer) and can be viewed either on screen or on paper. 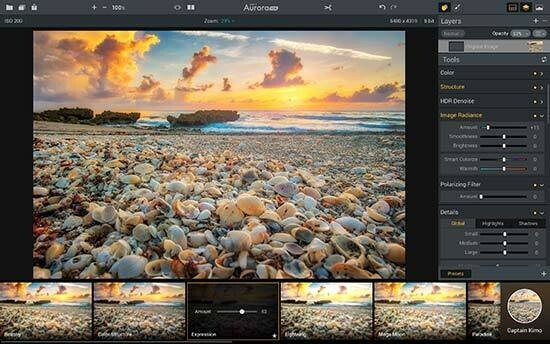 With the 2017 release, Aurora HDR is much better handling noise, as well as giving you good rendition of tones and contrast. An added advantage is that it’s quite a bit faster than the previous version - on my 2014 MacBook Pro the same image went from taking 1:40 to render down to 1:15 for a five bracket set. I’m working with Sony A7rII raw files and Nikon D800 raw files. Smaller source images will give you better times. All adjustments feel snappier than the previous version. There is little to no delay in seeing your adjustment applied to the preview. Zoom levels now go to 3000% (up from a maximum of 300% in version 1). 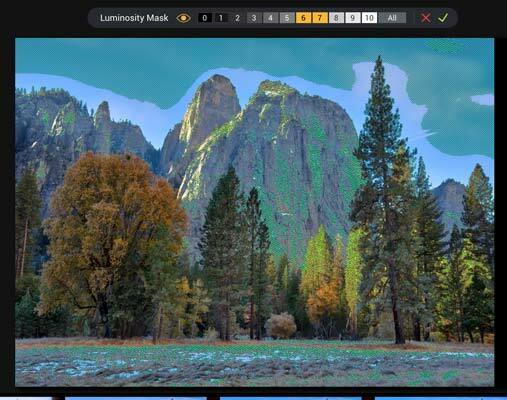 Luminosity masks are now easier to visualize thanks to two controls - when moving the mouse over the histogram you’ll see an option to select the zone you want to mask, which will show on your image in a green hash. 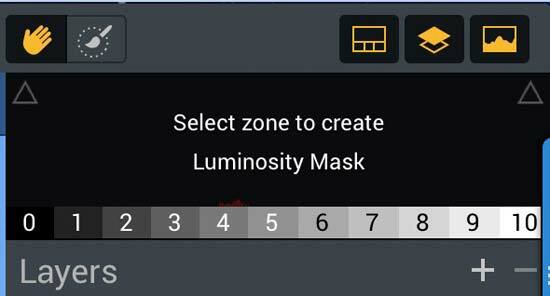 You can also select luminosity zones from the toolbar when you have the brush tool selected. Multiple zones can be selected, although I prefer to work with only one or two zones at a time to limit adjustments to just the areas I’m interested in changing. The interface has been subtly improved, which is a blessing for current users. If you’ve gotten familiar with version 1, you’ll feel right at home in this release. Small things like the luminosity options, toolbar layout and preset management all add up to a friendlier and more intuitive workflow. Aurora HDR 2017 would be a nice upgrade even with only the improvements made to existing tools. However, they’ve added some really useful new features to the application. 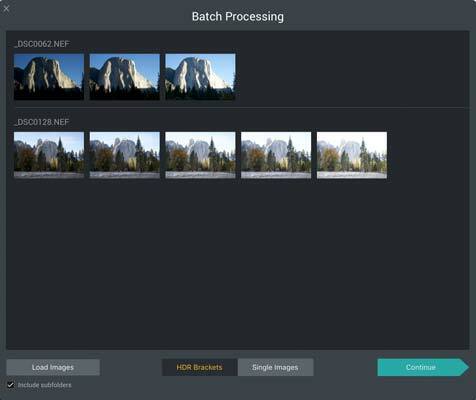 Perhaps the most requested feature of all is finally available - batch processing. In the earlier release, you could only do one HDR merge at a time. For me, it was worth it - the results were good enough that I was willing to do each image separately. 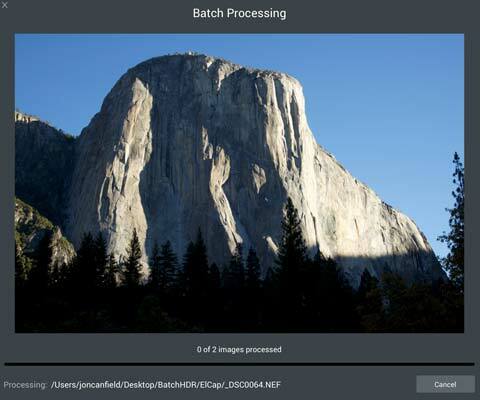 Batch processing can be accessed directly from the startup screen. I like the fact that you can select either images or folders - if you have a number of different images to process, having them in folders makes the organization much easier to deal with. I created a BatchHDR folder and put my individual brackets in subfolders under this top level folder. To be honest, even with batch availability, I still tend to work on individual files since I like to do a lot of tweaking to the image prior to saving. Ideally, I’d like to have Aurora open the processed files for further tuning. 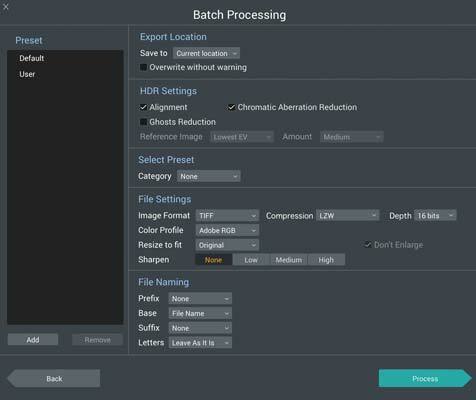 You can apply presets during processing, but again, no way to adjust the image beyond the settings in the batch processing window.